Transom or Trolling Motor: System includes transducer mounting brackets for both transom and trolling motor. Thru-hull: System includes transducer mounting hardware for a thru-hull installation. Clearly, this is the most amazing sonar technology ever. You have never fished like this before. Panoptix LiveScope is live, real-time scanning sonar. You can actually see easy-to-interpret live scanning sonar images of fish swimming near clearly defined structure. You can even see your lure as you retrieve it. And your boat doesn’t need to be moving. These images are so clear and precise that with a little practice, you might be able to distinguish between species of fish! You get both LiveScope™ Down and LiveScope™ Forward modes in one transducer. It’s easy to adjust the transducer mode to fit your fishing techniques; use LiveScope Forward to see remarkably clear images of structure and swimming fish around your boat, and use LiveScope Down to see directly below your boat. The view automatically updates on your compatible Garmin chartplotter. AHRS stabilization keeps your sonar view steady, even in rough conditions. LiveScope Down mode allows you to see live, easy-to-interpret scanning sonar images of structure and swimming fish in incredible detail below your boat —up to 200’ — even while your boat is stationary. LiveScope Forward mode is an excellent tool for scouting and fishing out ahead of your cast. You’re looking at live, highly detailed and easy-to-interpret scanning sonar images of structure and fish swimming all around your boat — up to 200’ — even while your boat is stationary. 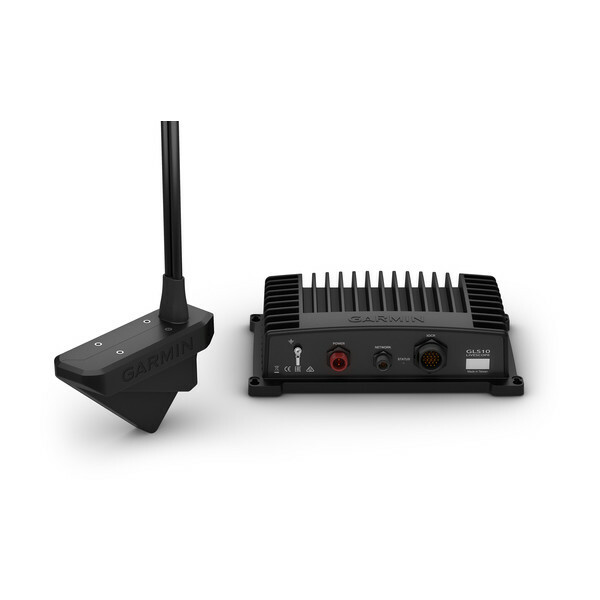 The Panoptix LiveScope scanning sonar system includes a compact GLS 10 sonar black box with LVS32 transducer and simple plug-and-play Garmin Marine Network connector, making it easy to install and seamlessly integrate with your compatible Garmin chartplotter. Use the transducer as a supplemental traditional and ClearVü sonar source to see a historical representation of structure and fish below your boat.